COLOR CHOICE: Selected ring designs are available in black, silver and blue. Colored rings (black and blue) are vacuum plated to a silver tungsten ring; they are not scratch proof but is highly scratch-resistant. The silver tungsten ring is the base of the ring and it is 100% scratch proof. PEACE OF MIND: You're covered by our 30 Day satisfaction guarantee. 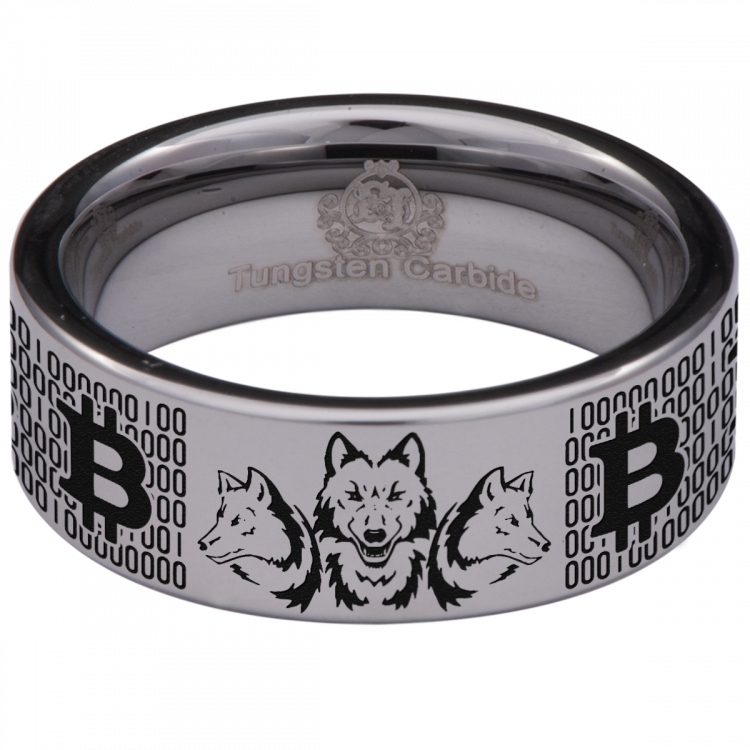 Love our Friends of Irony Wolf Pack Crypto Ring in 30 days, or get your money back. No questions asked.